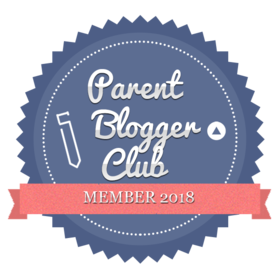 It’s Thursday again and that can only mean one thing……I have another blogger interview lined up for you as part of my Meet The Blogger series. Today in the spotlight is Kate from Mowglization, check out her interview to discover all about her blog as well as learning a little bit about the lady behind it. Enjoy! My blog is somewhere to really release my thoughts and feelings, I do quite a bit of vlogging for the same reason, but writing a blog post is a deeper release. I’m a self-employed small business owner, I love what I do and it gives me the freedom to work on all the side projects that I love too. I have a very varied lifestyle, my work consists of a cleaning company, social media agency, a clothing boutique and a paranormal investigation team, so I’m certainly never bored! I’m also an aspiring author, currently working on some projects with a friend, I take part in panto every year. I live with my boyfriend, my son, our cat and the leopard gecko! I started taking it seriously about 2/3 years ago. At first, it was more like a journal but now I use it as therapy for myself and hopefully other people! Myself, I think. I used to write diaries and journals, poetry and stories and decided to start sharing them. It wasn’t for any particular reason, it was most likely because I was wasting so much paper! I like being able to share my thoughts and opinions. It’s also somewhere to discuss mental health issues and show other sufferers that they’re not alone. I was blogging every day at one point and it was really deflating, I began to get obsessed and it took over my life. My content was getting stale and boring and I was obsessed with how many views I was getting. These days I publish a post once a week. Always something I am passionate about or something I have done that week, and never something just for the sake of it. My motivation comes from having something fun, relevant, exciting or important to talk about. When I was blogging daily it was very challenging and I started to hate it and once something becomes a chore there’s no point doing it anymore. I blog for myself, never for anyone else. I used to have high hopes for it to become a money maker or make me a blogging “celebrity” but now I just like to use it for a small part of my own personal therapy. I suffer from anxiety, depression and PTSD, I often write about these things and I hope I help at least one other person with my musings. I’d like to say a massive thank you to Kate for taking part. Check out next week’s post as I welcome another fabulous blogger.